Do you cringe a bit every time you look at your electric bill? No one likes paying bills but if you follow our advice, you can save money on energy bills and help the environment at the same time. When it’s summer, close the curtains during the daytime over windows that receive sun to keep the sunlight from heating up the interior of your home. When there’s sunshine and it’s winter, on the other hand, open your curtains up to get a little extra help heating your space. You’ll want a professional HVAC technician to check out your heating and air conditioning units once a year to make sure that they’re performing at an optimal level. In between these visits, change your air filters as often as the manufacturer directs. Your appliances can be using up energy even when you’re not using them, so unplug them whenever you can. If it’s hard to reach the outlets, plug everything into a power strip that you can flip from “on” to “off” whenever necessary. Older appliances often aren’t as energy-efficient as newer ones, so think about updating them to save money on energy bills in the long run. This can have a major impact on the amount of energy you save. 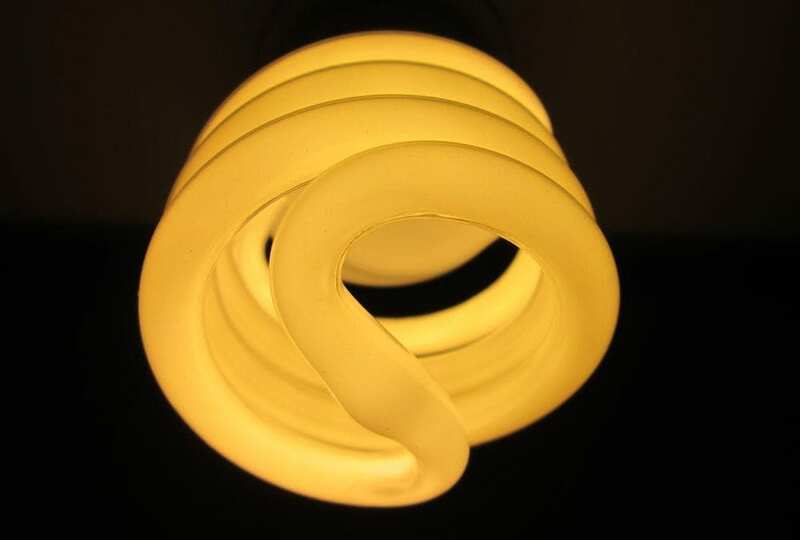 According to the US Department of Energy LED bulbs are up to 80% more efficient than incandescent light bulbs. You’ll want your home to be a comfortable temperature no matter the season, but program your thermostat to raise and lower the temperature accordingly during the hours that you’ll be sleeping or away from home. Leaves, branches, and other debris can clog your HVAC and cause it to work harder than it needs to—they can even cause it to overheat. Clear all of this away regularly. If possible, place your HVAC unit in a shady area, like under an awning or a tree, which will help it stay cool and use less energy. Make sure that your HVAC vents don’t have large pieces of furniture placed on top of them so that you are maximizing their effectiveness. If the vents are blocked, then you are not getting the full potential of heat or cool air that your HVAC is creating and pumping into your home. You can lower the base temperature on your water heater to 120 degrees and still be comfortable. Only wash your clothes when you have a full load to clean and use cold or warm water only if you can. Don’t use your dishwasher’s “heat dry” function. Check your attic, windows, and doors to make sure air isn’t finding a way through, or bring in a professional inspector to evaluate how airtight your home is. Once you seal any leaks, you will save money on energy bills. American Building Inspectors offers home and commercial building inspection services to Philadelphia, Chester County, Delaware County, Montgomery County & Wilmington, Delaware. Contact us today to schedule!